How do I get deduplication to work in Linux? 145. How I do send mail from multiple e-mail addresses in Thunderbird? 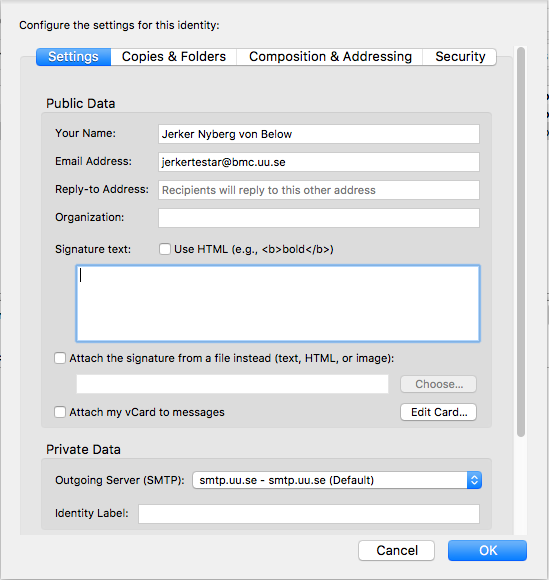 See also: How do I change my primary e-mail address? See also: How does Thunderbird autoconfig work? 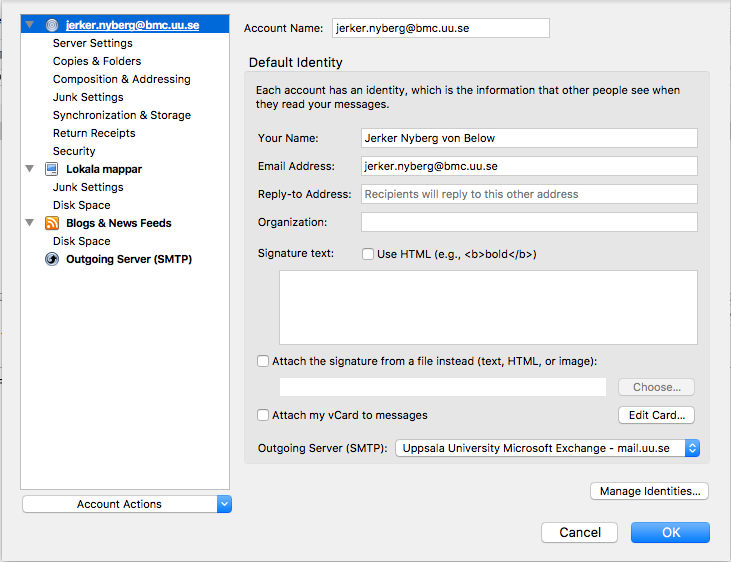 Thunderbird can send mail from multiple identities for a single account. This is useful if you have multiple e-mail addresses that all go to single account. First enter the Account settings by right clicking on the account in the left panel and pick Settings. Here you Add... a new identity. Enter your information. In this example the outgoing mailserver is smtp.uu.se but it should work fine with the Exchange server at mail.uu.se too (as long as the settings for that server are correct). Save. Send one mail to each of your two addresses. When replying to them Thunderbird will pick the appropriate identity. 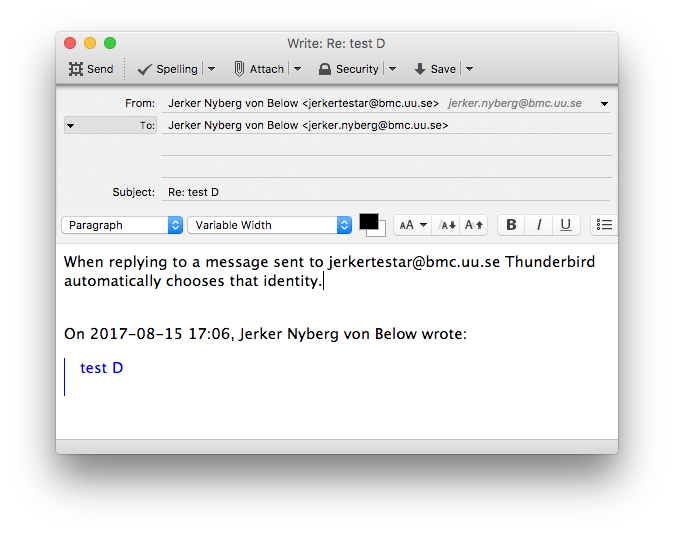 Here is when replying to a mail sent to jerkertestar@bmc.uu.se. Here is when replying to a mail sent to the other identity jerker.nyberg@bmc.uu.se.